Wake Up to Sleep Awareness! Track by Track: Kendrick Lamar’s DAMN. Black History Month is an ideal time to participate in a month-long #ReadingBlackoutopens a new window by reading only Black authors in February. 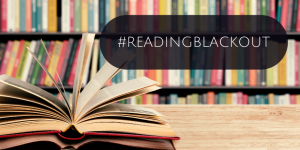 Booktuber Denise D. Cooperopens a new window, who only read Black authors during 2018 in her "Blackout Year for Booksopens a new window," coined the hashtag to encourage readers to prioritize black voices and experiences when choosing their next read. Are you up for the challenge? Find titles to meet your daily #ReadingBlackout goals with these materials by Black authors and/or featuring Black voices and experiences. Black History isn't something of the past; it continues to unfold before us in this country and around the world. 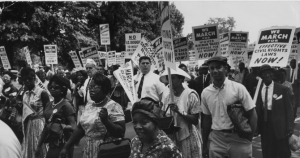 #BlackLivesMatteropens a new window is one of the most visible and active movements of contemporary Black history in America, and there's plenty to read about it (during February and beyond). 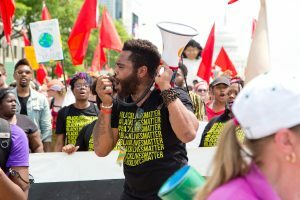 Check out our #BlackLivesMatter reading lists for adultsopens a new window and teensopens a new window, as well as a nonfiction reading listopens a new window exploring issues of race as they intersect with U.S. history and current events. Get reading inspiration from the music of Kendrick Lamaropens a new window, or let Beyoncé's Lemonadeopens a new window guide you to your next selection. Exploring Black history, heritage, and culture engages us in the complex layers of our past and can guide us into the future. Literature is just one of the pathways to this type of engagement. Check out our Black History Month Reading Listopens a new window for featured new titles that celebrate Black history and examine contemporary race relations. For younger readers, this listopens a new window provides a good foundation of titles by/about people of color and Black heritage, tradition, and achievements. What are you reading for #ReadingBlackout? What other titles would you recommend?